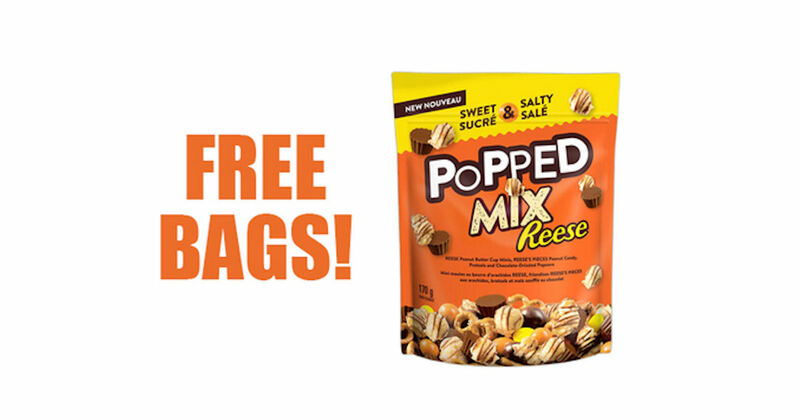 Get a free bag of Reese Popped Mix! Each day you have the chance to get a free bag of Reese Popped Mix! The free bags will be given away at random times every day, so be sure to check the link periodically. A total of 10,000 free bags will be given away (about 500 each day). Valid daily thru April 13th.